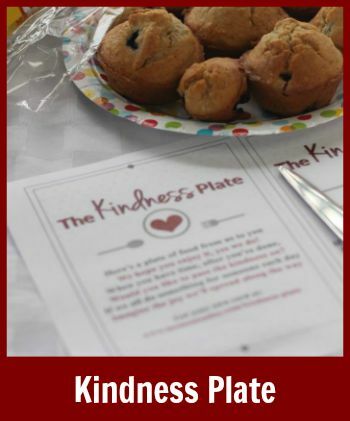 If your family made the decision to do three acts of kindness together, what would you do? 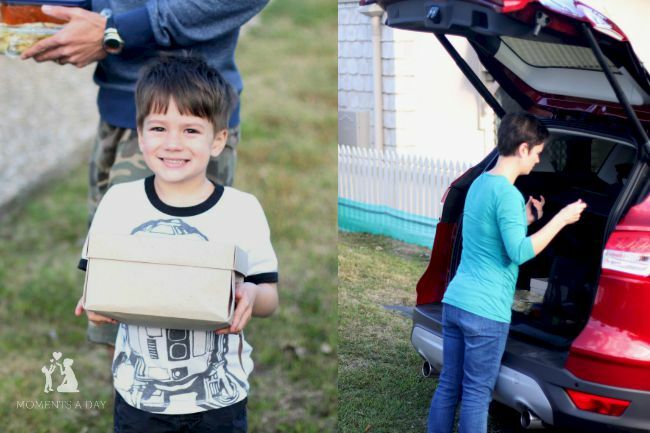 This post shares the second of our family’s “kindness outings” inspired by the #FordThinking challenge as part of Kidspot Voices 2015. 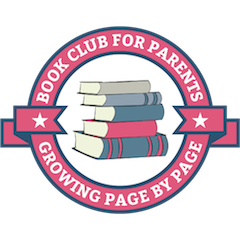 You can read about our first outing here. We have been given a Ford Kuga MKII plus petrol vouchers for six weeks and we decided to use it as an opportunity to go on three outings that would pay it forward. One of our goals was to reach out to a new friend who recently gave birth to her fourth child. I remember when I had my own newborn and someone dropped off dinner it was a huge relief, so we decided this would be a good project. Truth be told, I used to avoid making food for people because I never cook anything fancy and I was afraid they would not like what I made. But I have since gotten over my fears because I know how much I appreciate even simple foods… so now I just do what I can and trust it is enough. As you can see, the meal I prepared was completely manageable. It took less than half an hour to boil up some pasta, then cook the pre-made meatballs and sauce. 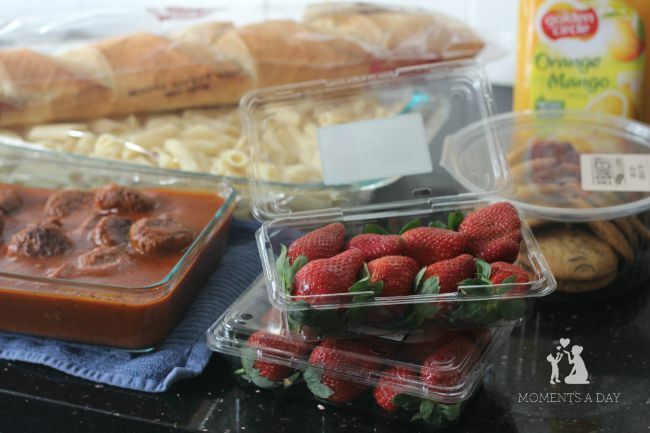 We got french bread and juice to go along with it, and the boys enjoyed picking out dessert – strawberries and chocolate chip cookies from the bakery. Easy peasy. While I thought about what else we could do for this lovely family, I reflected on what most helped me after having my third baby six months ago. When people came over and played with my older kids, I felt supported because I knew the older kids were getting some much needed extra attention. This was attention that was hard for me to give while caring for my newborn and recovering from labour. It was also nice when people brought the older siblings a little gift, as many visitors tend to bring a present for the new baby and the bigger kids can feel left out. So I decided we could put together a little collection of toys, activities and snacks for the older kids to enjoy while mama was busy with the newborn. 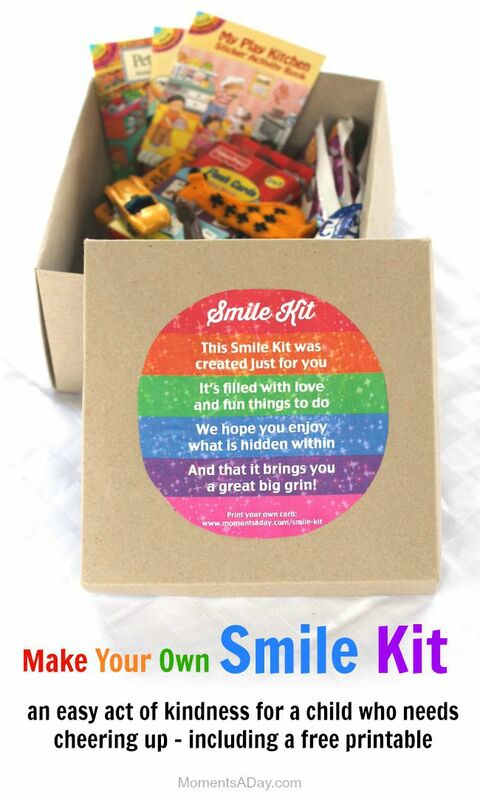 And just for a bit of fun, we decided to name it a Smile Kit. Some might worry about the cost of putting such a kit together but, besides the food and sticker books, all the items were pre-loved. We regularly go through our toys to declutter, so the boys were happy to choose a few things to give away. 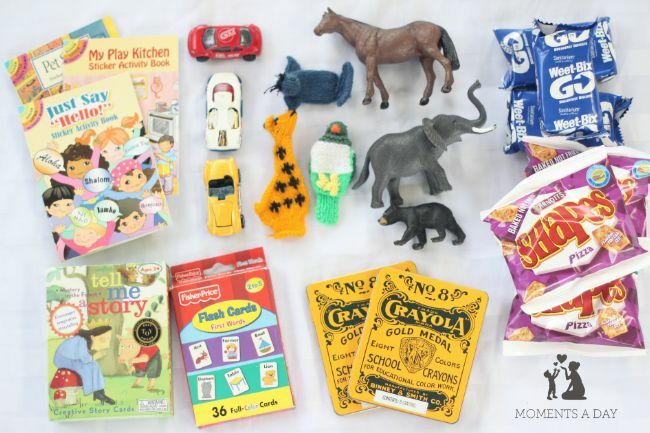 I personally try to give away items we do not need anymore instead of purchasing cheap things that will soon break and be thrown away… often toys outlive the play time of one family so it is nice to be able to pass them on to be enjoyed by someone else. If we did not have anything suitable to give I probably would have created a few little activity books made with free printables I found online (mazes, jokes, word searches, colouring pages, etc). In any case, Smile Kits do not have to be expensive projects! You can include anything you want in a Smile Kit. You could give the first clue to a treasure hunt (leading the child to a little treat at the end), some of your personal DVDs they can give back after a month or two, or even a few books lent from the library – just be sure to offer to pick them up to return before the due date so the mama does not have an extra errand to run! Extended family members might want to create “coupons” for outings such as a trip to the museum or after school excursion to the ice-cream shop. The contents of a Smile Kit are only limited to your imagination! And that it brings you a great big grin! If you want to use my Smile Kit poem, the file is a JPEG image so that you can resize it however you want. I printed ours on a full page to glue onto a box we had, but the poem could easily be made smaller and attached to a card instead. I also included the web address for this article so recipients can create their own Smile Kits as well. Smile Kits are not just for big siblings, either. They would be great for kids who are in the hospital or spending time sick or injured at home, as well as for children who may have recently experienced the loss of a pet or a difficult situation like a best friend moving away. 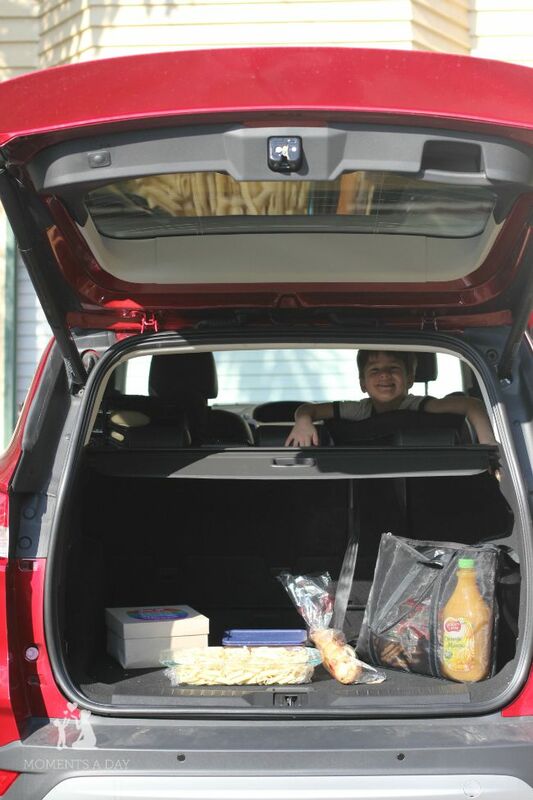 After getting the meal and Smile Kit together, we went out to pack up the Ford Kuga and be on our way. It was a beautiful sunny day in Brisbane, and splendid weather for an afternoon drive. My four year old could not wait to get going! He always gets a thrill out of seeing the boot open up “by itself”. I have really enjoyed using double click button on the key fob to automatically open and close the boot because it means I do not have to put down what I’m carrying (like a small baby!) to pack the car. 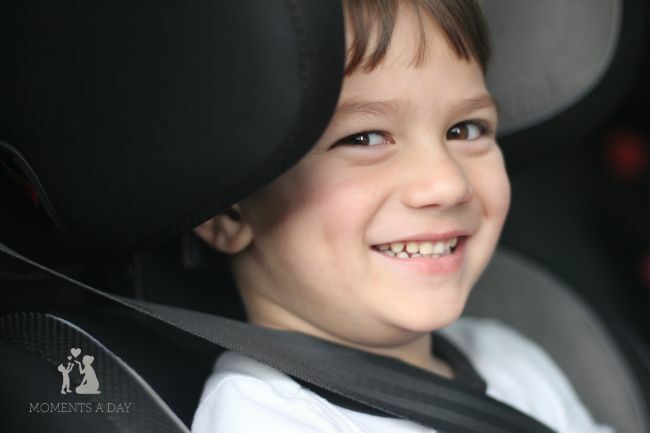 This feature has been great for getting all our gear in the car during school pick ups and drop offs, and seems to be a bit of “magic” to the kids. Honestly, having three young children and living in a suburb that has most everything we need, we rarely go on long drives. And by long, I mean over fifteen minutes. So a thirty minute drive in a brand new car was a bit of a novelty for everyone. 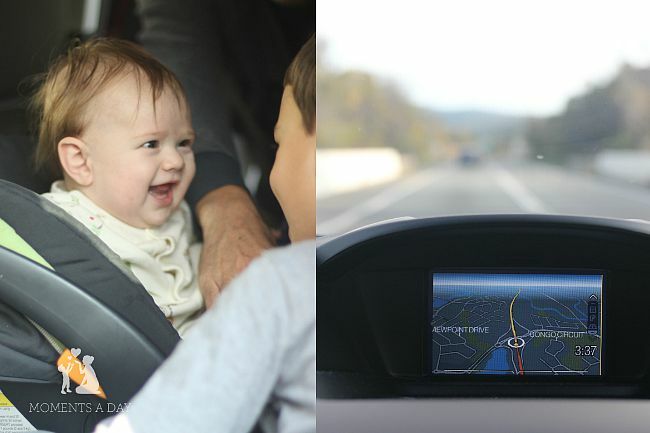 My little girl is now old enough to engage with her older brothers in the back seat which got us off to a great start. We entered the address into the built-in GPS and went for our first cruise in the Ford Kuga on the highway! 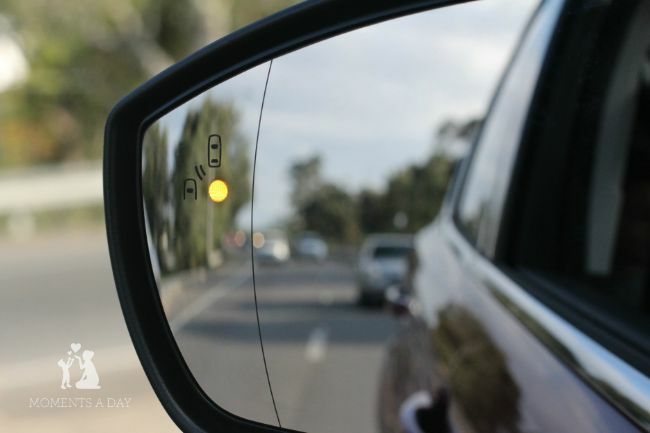 …but in this photo, you can see the light is on which tells you that there is a car in your blind spot! Notice how you cannot even see the car in the mirror itself. This is such a useful feature and after using it a lot more since that day, I already feel more secure driving in traffic especially with motor bikes zipping in between lanes. After a smooth drive, we arrived at our destination to deliver dinner and the Smile Kit. The family was very thankful and it warmed our hearts to make the evening a little easier for them. Plus it was so nice to see a gorgeous four-day-old baby, what a cutie she was! I look forward to making more Smile Kits in the future. 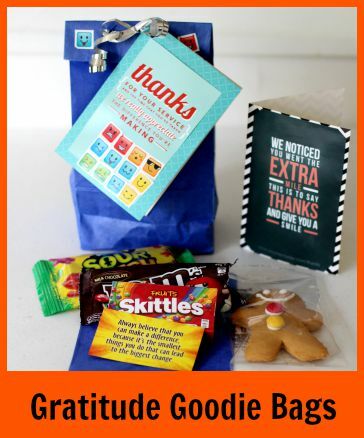 It will be fun finding different combinations of items to include, tailored especially for each recipient. Until next time, take care, and we hope to see you in a couple weeks for the last of our “kindness outings” thanks to #FordThinking! Does anyone you know need a Smile Kit to cheer them up? Would you like to make them one? Wonderful idea! I have done similar, but I love how you packaged it and added your delightful poem. 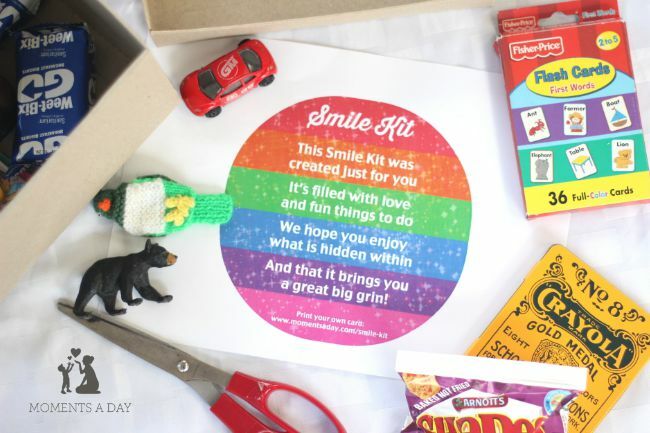 I love the idea of adding pre-loved gifts to the Smile Kit. Clever. A really thoughtful idea. 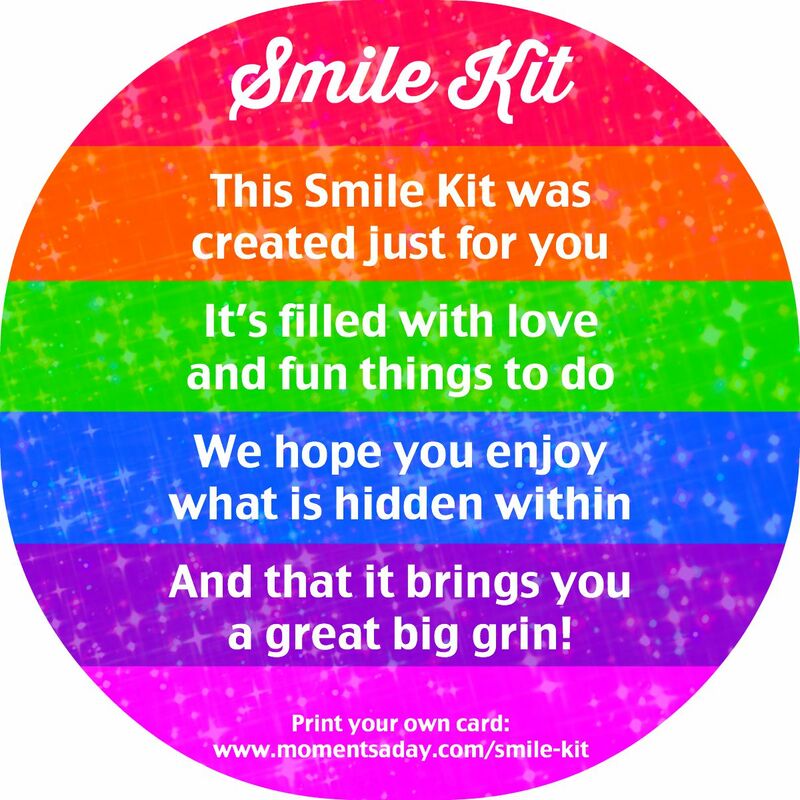 The smile kit is such a thoughtful gift and it looks fabulous too. It looks like you have been enjoying the Kuga. I really like the Blind Spot feature. I am getting so used to the Kuga, I know I’ll be sad to give it back! That Blind Spot feature is sooo helpful, too. I’m a very careful driver and it really gives me more confidence! Beautiful Chelsea! 🙂 I love the Smile Kit added in with the meal – that’s such a lovely idea! 🙂 And I think the taboo should be gone from ‘regifting’ because sometimes passing things on is the most wonderful thing – this is definitely such a situtation! How nice of your boys to choose some things to share/pass on to other kids! Re-gifting is wonderful, and I wish more people would do it! Kids really don’t mind and it’s always better to avoid buying stuff that will just be tossed in the bin after a week, in my opinion anyway! Aww, this post really made me smile! Such a very thoughtful idea, and I’m sure that the family appreciated it. 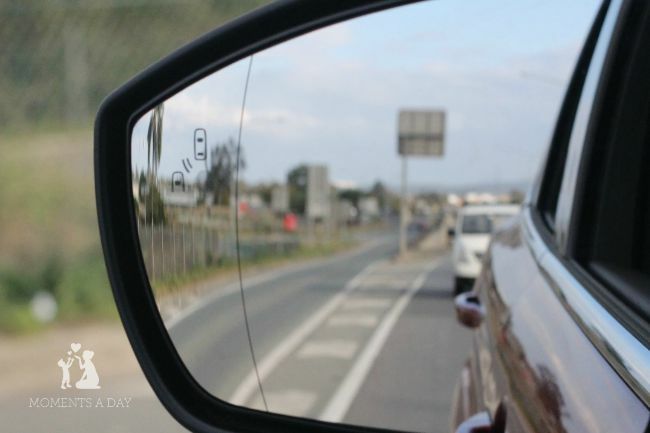 Love the blind spot feature in the car! Thanks for the comment, Kate! Yes the blind spot feature is amazing. I dropped off the car today and am already missing it! Thanks Danya, it’s been an awesome challenge and so much fun for us! I love everything about this!! Firstly just LOVE that you are using the blessing of this awesome new car (intrigued by the blind spot mirrors!!!) to bless other people. I so agree – ain’t NOTHING better than a meal when you have a newborn!!! I was always so grateful for them. And yes, simple is perfect. 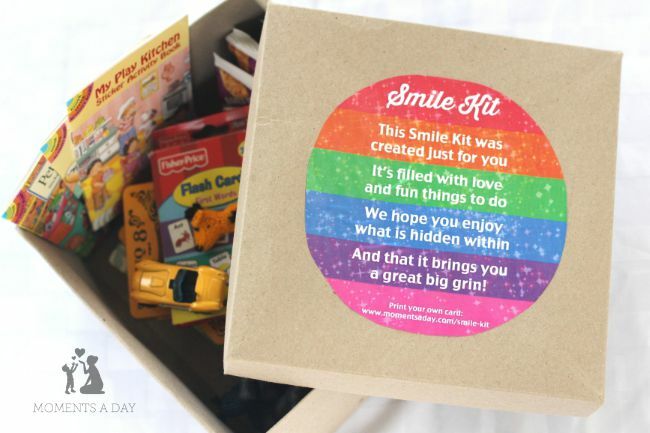 The smile kit is so sweet too and soooo lovely to let the kids pass on some toys through it. What a lovely idea, great post and fun drive! Definitely agree, meals when you have just had a baby and are hungry while breastfeeding are awesome!! I love this so very much Chelsea. There are so many people who would appreciate one of these. Yes the kit could definitely be adapted in many ways! What a great idea! Can’t wait to share this with fellow parent ambassadors at my daughters school. This is a perfect and inexpensive way that my daughters school can welcome in new babies or help someone out if they’re having a hard time. Oh I love that idea, Kristin! Pre-prepared kits for families would be an awesome service to a school community. What a great idea! I used to love those sticker books where r they from? I got them on Amazon a long time ago (I keep sticker books in my stash of gifts to give away! ), I think you could do a search for “mini sticker book”!